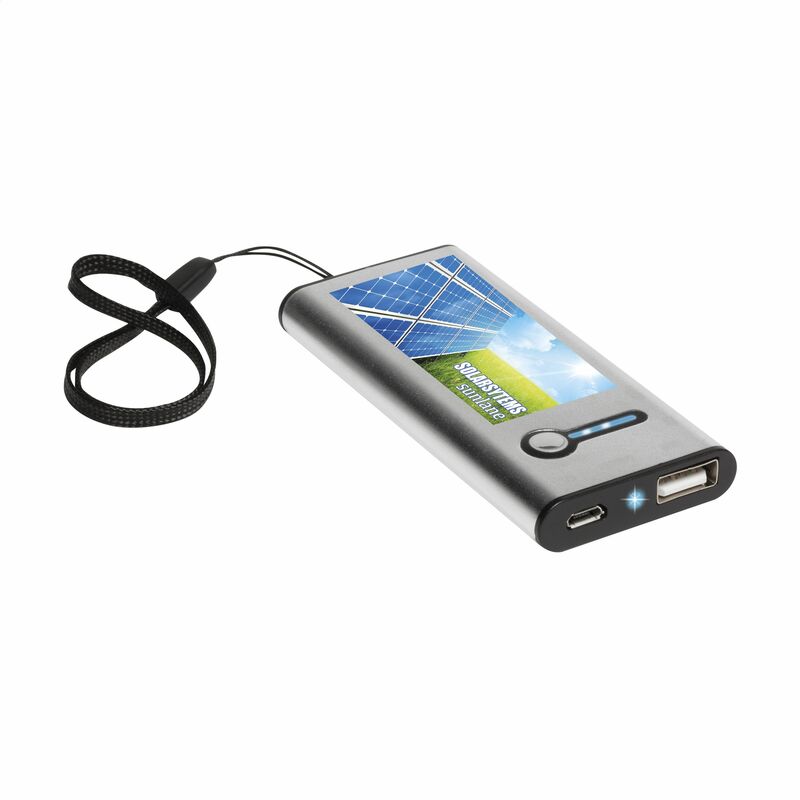 Pass on some peace of mind to business professionals with Drukzo's high capacity Solar Energy Power Banks! Don't hesitate to print your logo in up to 4 colours onto these portable power banks that are complete with a battery indicator light, solar panel and an quality lithium-ion battery (1000mAh) to keep your mobile phone devices powered throughout the day! When gifted to employees, clients, and customers, they will discover that these power banks are too practical not to use and will appreciate your brand every time they're charging on the go! When these power banks run out of juice, it's only a matter of charging them via USB or solar energy and you're good to go once more! Each piece comes in a box with instructions, secure strap, and a micro-USB cable. De Powerbank zonne-energie die ik zoek kan ik niet vinden. Zijn deze niet te bestellen? 1 Hoeveel kleuren heeft jouw ontwerp? De Powerbank zonne-energie die het meest worden gekozen zijn te bestellen via onze website.